This Two Week Ecotourism Tour of Brazil gives you a little look at four major ecosystems across the country, with some of the finest sights that nature has to offer. Beginning in Rio de Janeiro with the mountains, beaches and gardens of the city, you continue to the natural wonders of Iguazu Falls, the Pantanal Wetlands and the Amazon Rainforest, with a quick look at the Brazilian Cerrado too. 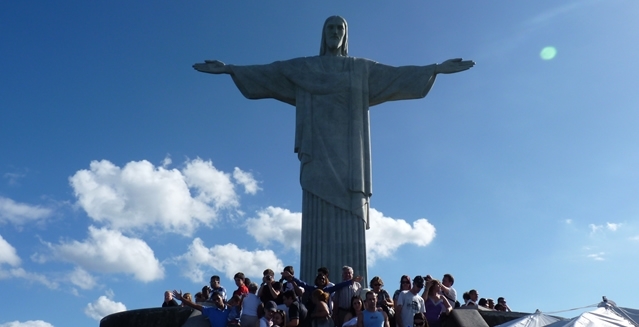 After being welcomed on your arrival in Rio de Janeiro, your Brazil Adventure Tours guide describes the Marvellous City during the journey to your hotel. 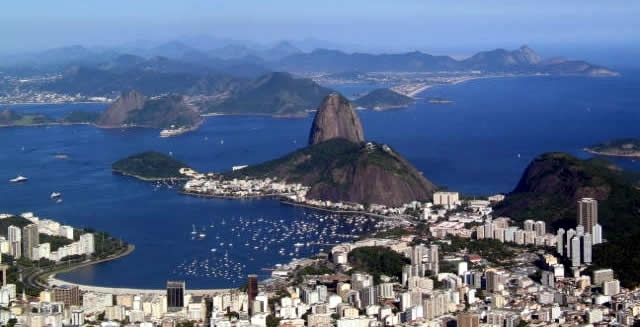 You pass along the edge of Guanabara Bay, with first glimpses of the city, the statue of Christ The Redeemer and Sugar Loaf Mountain before you arrive at Copacabana and Ipanema Beaches. After arriving at your hotel, we will go through the details of your Brazil Tour and give you some local tips for your time in the city. The day is then free to explore Rio and perhaps enjoy your first caipirinha cocktail at sunset from Arpoador, the headland between the two main beaches. Your first tour of Rio takes you to see the historic side of Rio, the Municipal Theatre and the grand buildings that date from the 19th Century and earlier. The modern Metropolitan Cathedral and the antique Arches of Lapa are two more of Rio's postcard sights. 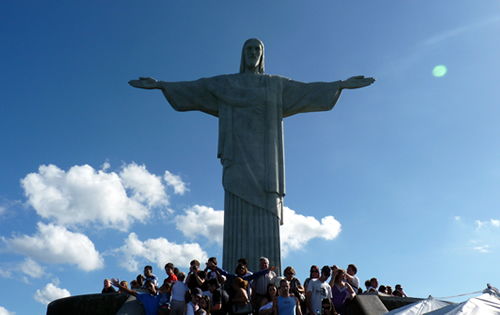 You then travel to the top of Corcovado, the steep 710m/2,340ft high mountain topped by the 31m/102ft statue of Christ The Redeemer. 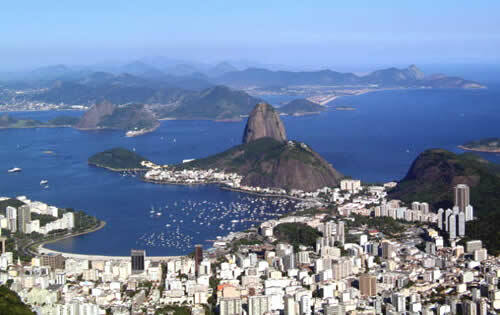 The views from the base across Rio, its beaches and mountains, over the Rodrigo de Freitas Lagoon, Guanabara Bay and the Atlantic Ocean are as spectacular as city views can be. The afternoon and evening are free to relax. Morning brings a journey around the lagoon to the Botanical Gardens in the shadow of Corcovado. The gardens contain an array of tropical species, with palms, orchids and the pau brasil tree that gave its name to the country watched over by monkeys and toucans. 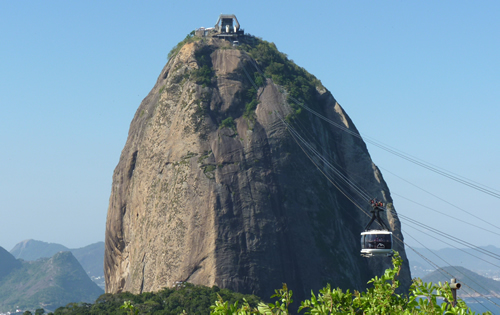 You then travel to the bottom of Sugar Loaf Mountain to ride the two cable cars to the 396m summit. The city views take in of Copacabana Beach, the mountains behind the statue of Christ the Redeemer and also those surrounding Rio on a clear day. The afternoon and evening are free once more, with a typical Brazilian churrascaria barbeque being one dinner option. 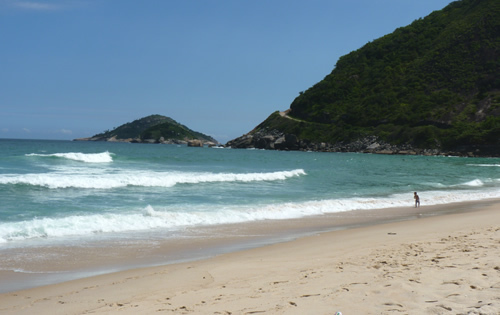 You can spend your day relaxing on Copacabana or Ipanema Beach or take a walk around the Rodrigo de Freitas Lagoon. If you prefer to fill your days there are many other ideas around Rio that you might like. You can take boat trips out on the ocean or around the bay; museum tours can include the Imperial & National Museums, Samba City, the Carmen Miranda or the diamond museums. You can cross the bay to MAC, with its impressive views back to Rio. A tour along the beaches at the edge of the city, Prainha & Grumari, is another possibility. There are also more adventurous activities such as tandem hang-gliding and kayaking. 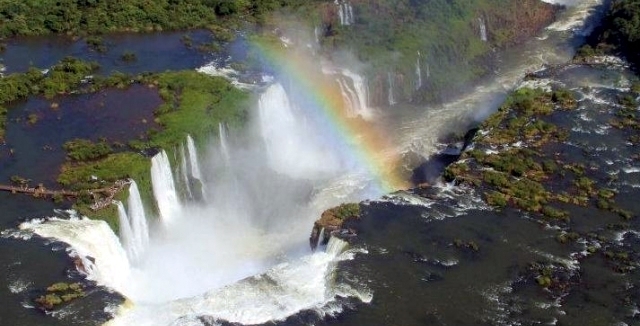 The morning flight takes you to Iguazu Falls, and your first chance to see the 275 separate falls of the Iguazu River comes as you land. On arrival you will be met for an immediate tour of the Brazilian national park, where you can enjoy the majestic panoramic views of Iguazu from across the gorge. 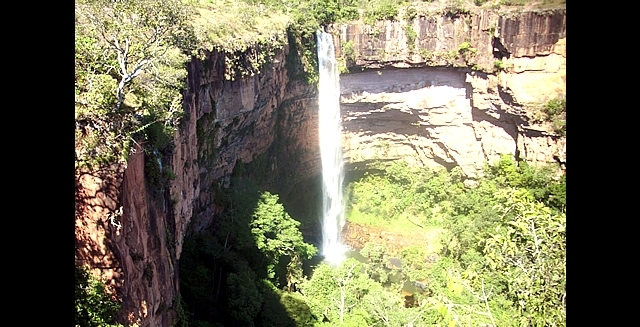 Options include viewing the falls from above with helicopter rides above them. In the late afternoon you transfer to your hotel with the evening free. Please be sure to wear appropriate clothing and footwear for Iguazu Falls, as the walkways, paths and yourselves become wet from the spray. Camera protection is also a good idea. After breakfast you cross to the Argentinean national park, where walkways allow you to experience the majesty of Iguazu from very close quarters. 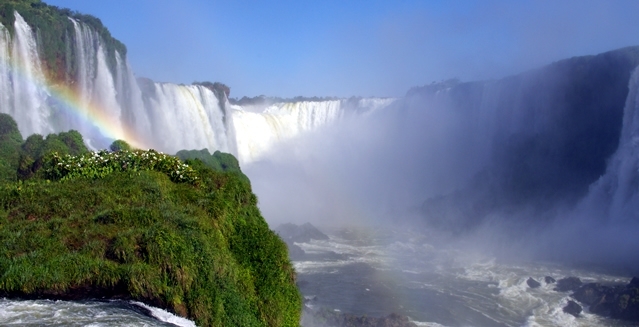 The undoubted highlight is the mesmeric experience of looking down into The Devil's Throat as the falling water pounds the bottom, creating the roar and mist that mean Iguazu Falls can be seen and heard for miles around. The afternoon finishes with the adventure boat ride which takes you right under the falling curtains of water. In the evening you may like to take in a Latin American Dance Show, or in the period around Full Moon, you can visit the falls to view Iguazu By Moonlight. 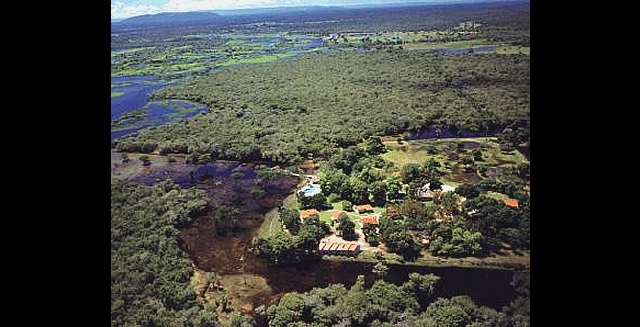 After flying to Cuiabá, the capital of Mato Grosso state in Brazil, you will be picked up at the airport for the 3 hour drive to Rio Mutum Lodge. From the raised dirt road it is easy to spot wildlife on the surrounding plains and in the waters. The largest rodent in the world, the capybara, is especially visible. After settling in, you can enjoy a welcome drink and hear about the activities program before your first experience of the spectacular colours of a Pantanal sunset. Thousands of birds fill the sky as the sun disappears in shades of gold, pink and purple. Dinner is at the lodge, with the evening free to enjoy the sights and sounds around the lodge. After breakfast, you can depart on a guided tour horseback tour into The Pantanal for the best wildlife viewing in South America. The savannah, lakes and hills make a beautiful landscape and the open spaces allow unobstructed views of a whole array of creatures. 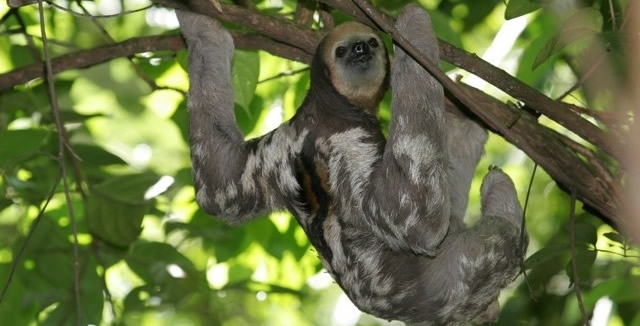 The journey to Sia Mariana Bay, riding through the waters, gives you the chance to see giant anteaters, tapirs, capybaras, deer and armadillos as well as abundant bird and aquatic life. After returning to the lodge for lunch, you can take a photo safari on the crystal clear waters of the Rio Mutum. Anacondas and giant otters are spotted occasionally in the area. Dinner is at the lodge. 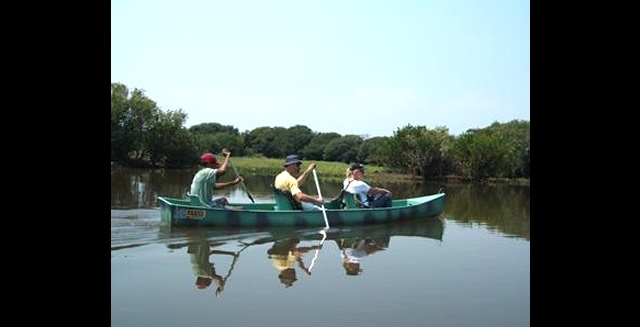 After breakfast, a boat ride and trail hike to Chacororé Bay, a 15km wide lake give you chance to learn more about the delicate ecosystem of The Pantanal, before seeing the aquatic life of the pristine lake and reptile life around its shores. 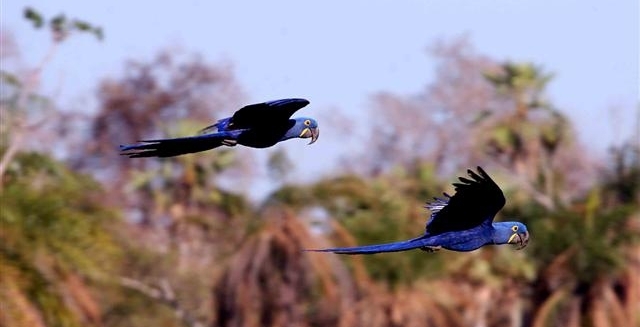 After lunch, a boat trip takes you to one of the largest nesting sites in The Pantanal. After dinner, a night safari takes you to spot nocturnal animals. 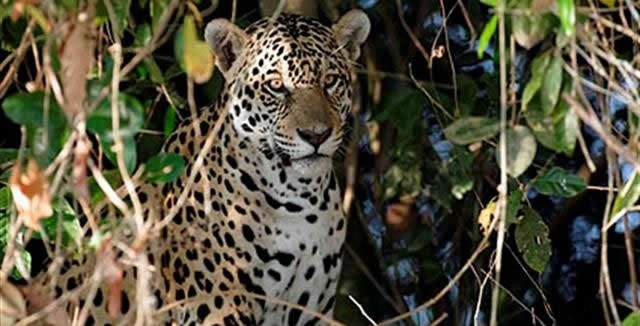 Many predators such as jaguars, pumas, ocelots and maned wolves hunt in the cooler night. 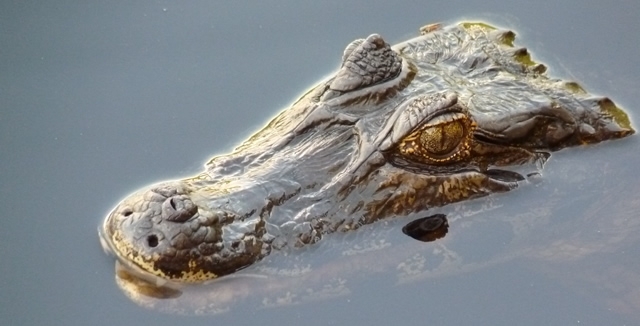 The eyes of some of the 20 million alligators of The Pantanal are very visible at night, and it will feel like you can see at least that many stars in the unpolluted night sky! 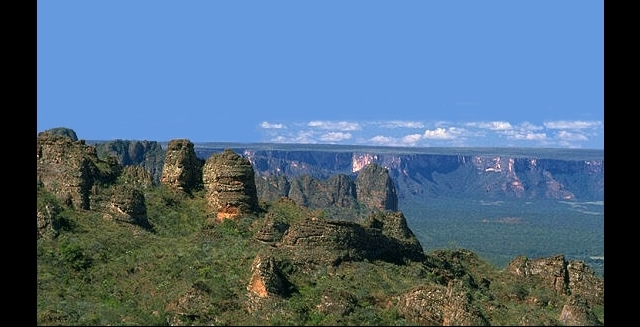 An early transfer takes you to Cuiaba airport for your journey to Manaus, flying above miles of nothing but green jungle and silver rivers for the final hour or more. The sight of nothing but trees is a special one if the rainforest cloud clears for you. On arrival in the city, you will be met for the three-hour drive through the jungle to Novo Airao, completing the journey to Anavilhanas Lodge by boat, amongst the sights and sounds of the Amazon. 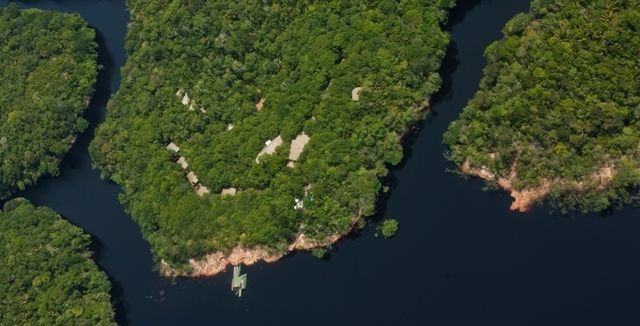 The lodge sits on the edge of the largest freshwater archipelago in the world. In the afternoon you can take a boat tour around some of the islands in the archipelago before returning to the lodge for dinner. In the evening you\\\'ll have the opportunity to look for caiman alligators, the largest reptile in South America, along the Amazon River system. 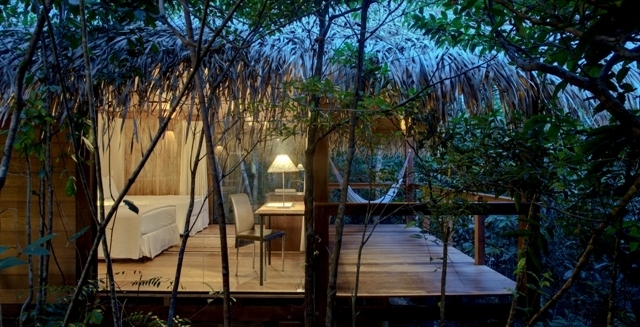 Your time at the lodge can be spent engaging in Amazon activities - trekking through the jungle with your expert guide, canoeing along the creeks and through the trunks of the flooded forests, visiting local Tiririca communities, to see how people make their lives on the edge of the world\\\\\\\'s largest river system. You have the opportunity to fish for piranha too. The legendary Amazon fish is not always as dangerous to humans as humans are to them - you can also learn how many uses of those sharp teeth there are in the Amazon. You return to the lodge in the late afternoon to enjoy the sounds of the sunset once more. Dinner is again at the lodge, with meals cooked from fresh local ingredients. At least one morning in the Amazon should be spent admiring the sunrise. Dawn in the jungle is a beautiful time, although not a peaceful one! The jungle comes alive with thousands of bird, monkey and amphibian calls in a chorus of staggering volume. Parrots, parakeets and macaws seem to be competing to make the most noise as the sun rises over the canopy of trees. 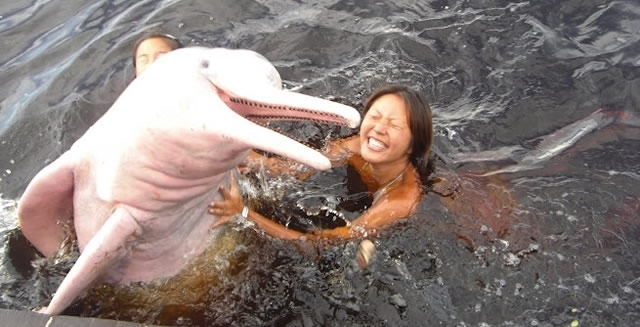 Among some of the calmer Amazon animals are the pink and grey river dolphins, these friendly creatures seem to enjoy the company of humans, and the Anavilhanas Lodge is the only lodge in the Manaus area that includes a trip to see them as standard. An afternoon boat trip will take you to meet them, and perhaps even swim with them at Novo Airao. After breakfast at the lodge, you begin the journey back to the Real World. The morning boat takes you back to the road, where you drive on to the airport in Manaus. From there, you can fly either directly away from Brazil to the north, or you can fly on to Sao Paulo, Rio or Brasilia and connect with international flights there. Your journey home gives you chance to reflect on the number of natural wonders encountered during only a two week Brazil Tour.